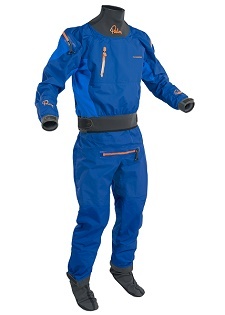 The newest whitewater drysuit from Palm, The Atom suit is a replacement for the popular torrent drysuit and features latex neck and wrist seals, fabric socks and a plastic shoulder zip. The new Palm Atom dry suit is Palms top end whitewater suit and is based from the proven design of the Atom cag. The new cut of this white water suit reduces the number of seams and positions them to minimise wear. 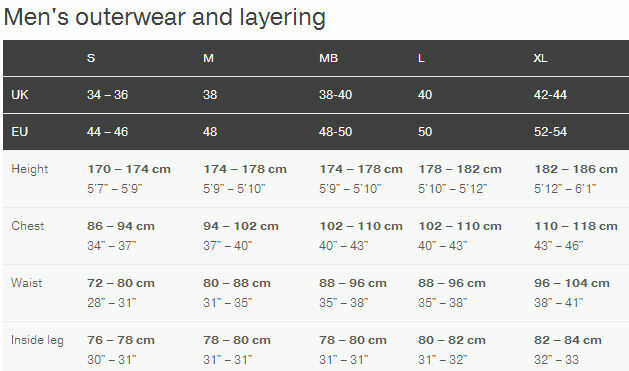 The XP 4-layer material is breathable and light weight. It is easy to spend a whole day on the water in this suit. The new Palm Atom Suit has the ever popular 4D multi-articulated cut which offers the paddler a comfortable fit for dynamic paddling. 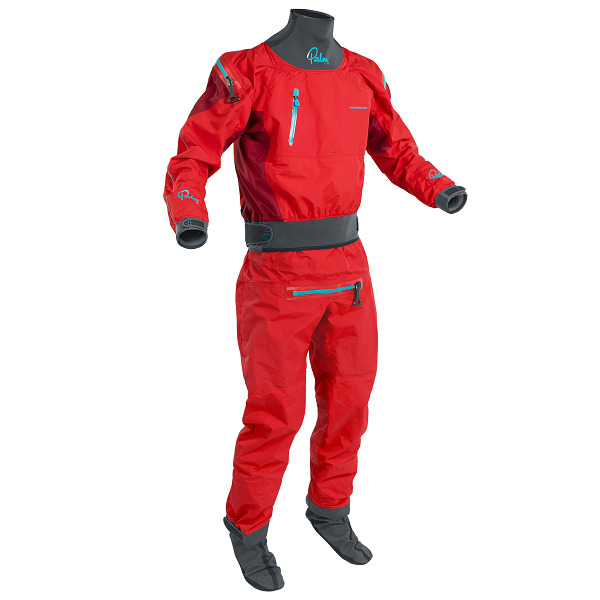 The Palm Atom Dry Suit is suitable for all types of kayaking and rafting. 4D Multi-Articulated Cut for dynamic paddling. Latex Neck gaskets with1.5mm neoprene outer collar. Latex Wrist gaskets with velcro adjustable cuffs. Light weight flexible TIZIP shoulder entry and relief zip. Reflective piping on neck and sleeves. Water resistant front chest pockets. Cordura elbow, backside and knee protection. Adjustable Cordura ankle protection with stretch mesh drainage. We offer a delivery service for the Palm Atom Dry Suit throughout the UK & Ireland to home and work addresses. Unless instructed otherwise, we endeavour to supply the Palm Atom Dry Suit in 3-5 working days within the UK mainland. Delivery times are estimates based on years of experience; we do not offer a guaranteed timed delivery service. Our overnight service works well for the core more densely populated areas of the UK for Clothing and Equipment orders. However more remote less densely populated areas will not be covered by a next day service. Buy a Palm Atom Dry Suit online from our website and collect from our shop in Hamworthy, Poole or you can collect from any branch within the Canoe Shops Group. There is no cost associated with in-store collection.